With Metrosoft™, the power analyzers can be set up for different test conditions in a matter of seconds. By simply filling in a form, you choose which phases to record, the corresponding out-of-limit values, which statistics to save (minimum, RMS, and/or maximum), etc. For added convenience, the software automatically computes the maximum recording time for you based on the selections you've made. Once the power analyzer is set up for a test, it wiII retain this information until you change it. Also the setup files may be saved on a disk for re-use. 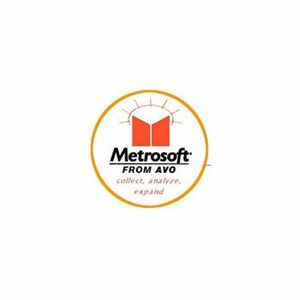 Metrosoft™ provides complete reports of the recorded data, which can be viewed, printed or exported to popular spreadsheet programs. Metrosoft™ allows you to view multiple phases/parameters on a single chart, so problems are identified quickly. An exceptional graphing feature is the ability to zoom-in and enlarge specifc time periods for a closer look at unusual events. A scan line feature lets you move a line across the chart as the software displays the values for the date and time on the chart. This gives you exact numbers and eliminates the need to approximate. In addition, you can view the vector relationships for any demand interval. All charts can be printed on any printer supported by Windows.